Description: The Assistant Senior Patrol Leader is the second highest ranking patrol leader in the troop. 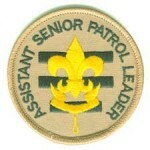 The Assistant Senior Patrol Leader acts as the Senior Patrol Leader in the absence of the SPL or when called upon. He also provides leadership to other junior leaders in the troop. Helps train and supervise the Troop Scribe, Quartermaster, Instructor, Historian, and Chaplain Aide. 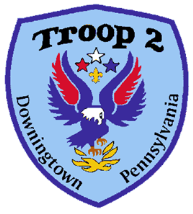 Be responsible for developing, planning, and implementing Troop 2 activities.